What does differentiation mean to you? Differnetiation in work stations can be achieved in multiple ways! Take a look at these images and how teachers used manipulatives to variate the rigor. Freebies! Download these fun differentiated workstations for your classroom. Read Alouds can be a great way to achieve higher order thinking in students by differentiating their questions. Having questions pre planned is key! 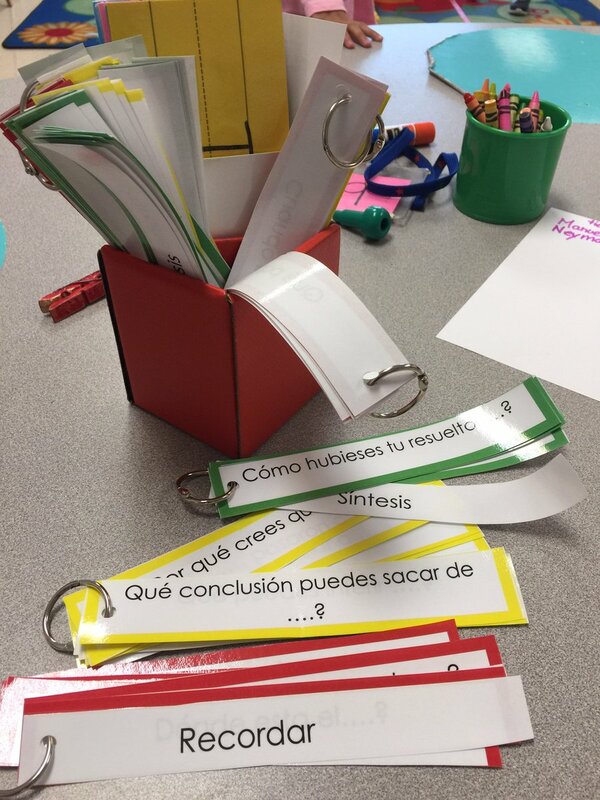 Download a free copy of these differentiated higher order thinking questions for spanish. For English HOT questions click on this link!